Theater of the Oppressed is a collection of games, techniques and exercises for using theater as a vehicle for personal and social transformation. It uses the dynamized human body and the charged theatrical space as a laboratories for exploring power, transforming oppression, and finding solutions to the fundamental problems of conflict, inequality, injustice and human suffering. This workshop will introduce Theater of the Oppressed as a way to explore the experience of war, the trauma of war, the politics and culture of war, as well as tactics and strategies for peace-building and healing, using a creative, artistic, collective process of engagement and transformation. This class is open to anyone interested in exploring art and theater as method for engaging with the issue of war and militarism, while developing creativity, insight, and critical intelligence in dealing with this crucial issue. No acting experience is necessary. Open to Veterans and Non-Veterans. Please dress to move; please leave your medals at home. 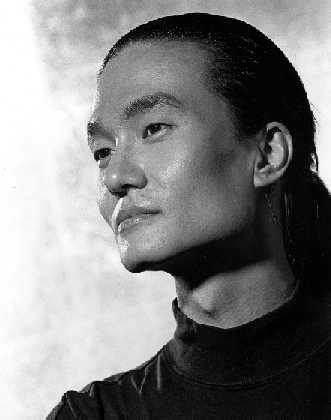 Jiwon Chung is a professional actor and director, and a key theorist and practitioner of Theater of the Oppressed. He is the Artistic Director of Kairos Theater Ensemble, Adjunct Faculty at the Starr King School at the Graduate Theological Union, Berkeley, and Past President of the national organization for Theater of the Oppressed. Author of numerous books, articles, interviews, and performances, he is a pioneer in the integration of somatics, theater, and socially engaged art. The focus of his work is in the application of theater as a tool for social and political change, using Theater of the Oppressed to challenge, resist and transform systemic oppression and structural violence, and to redress large scale historical atrocity and injustice. His approach to performance and social change is informed by his background as veteran, martial artist, and 3 decades of vipassana meditation. Categories: Projects | Tags: Berkeley, Counter Projects, Jiwon Chung, Kairos Theater Ensemble, San Francisco, Social transformation, Theater of the Oppressed, vcmc, Veterans Community Media Center, Veterans Media Center, Veterans Media Center of San Francisco, Veterans Telling Their Stories, vmcsf.org | Permalink.